A meteorite likely impacted a province in western Cuba, local media reported Friday afternoon. 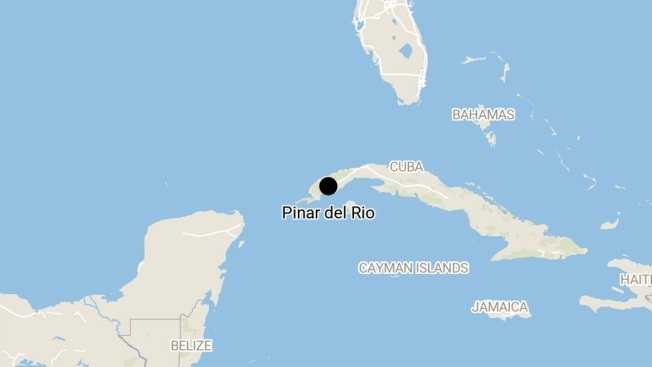 Cuban newspaper Juventud Rebelde reported there was "a strong explosion" in several municipalities of Pinar del Rio. Witnesses reported hearing an explosion and seeing a ball of fire and a smoke trail. The National Weather Service tweeted a meteor was reportedly seen in the sky across the Florida Keys, near Islamorada. The NWS later tweeted a signature was detected at around 1:21 near Viñales, a town in Pinar del Rio, that may have been the meteor. The signature was detected at a height of over 26,000 feet above ground level, according to the NWS. Pictures posted on social media show the apparent fragments from the meteor. It's unclear if there were any reports of injuries or damage.